For anyone who's worked on automotive websites, you know that there is never a final draft. It's an ever evolving behemoth of specials, sales events and new models. With 14 models and countless trim levels under each, Toyota.com is no exception. 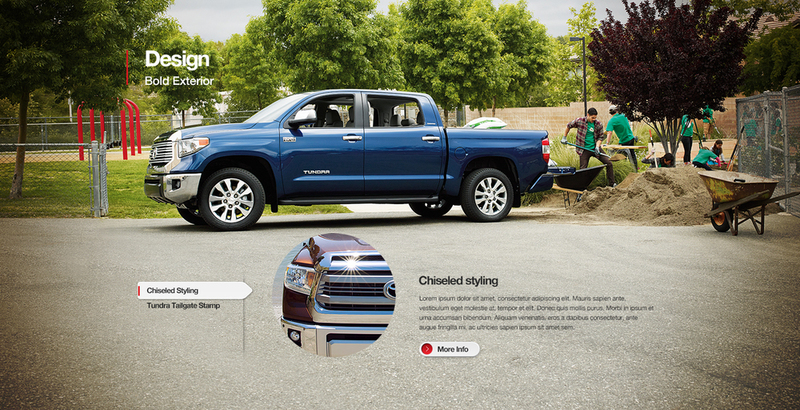 Update Toyota.com to showcase the new 2014 Toyota models. Find a way to simply and beautifully showcase all of the key specs and performance capabilities without making the breadth of information seem overwhelming or hard to find.